Collection of the 'Best Bathroom Gadgets' from all over the world for your bathroom. 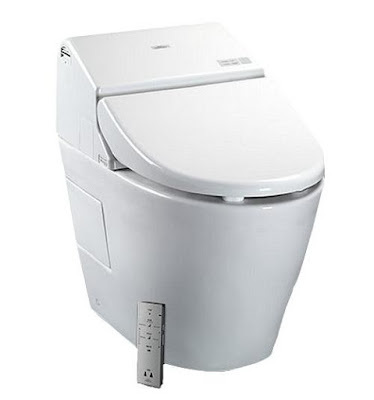 Washlet G500: The Washlet G500 is a smart toilet that comes with an automatic air freshener. Apart from this, it also features front and rear warm water washing with temperature and adjustable pressure controls, heated seat with temperature control, warm air dryer, remote control, illuminated touchpad, 2 usermemory, auto open/close lidcover, and auto flush. Buy Now: $2,300. 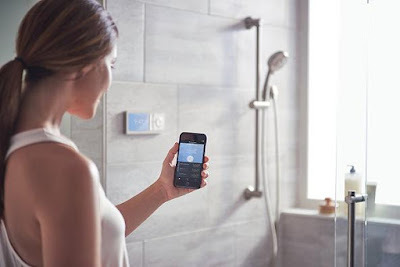 Moen U Smart Shower Controller: The Moen U Smart Shower Controller lets you create an ideal showering experience with the push of a button on the sleek controller or a tap of the app on your smartphone. You can warm up the shower from the app to a preset temperature. It provides up to 12 personalized presets including name, greeting, outlets used, water temperature, shower timer, notifications and more. Its app is compatible with iOS and Android. Buy Now: $345. 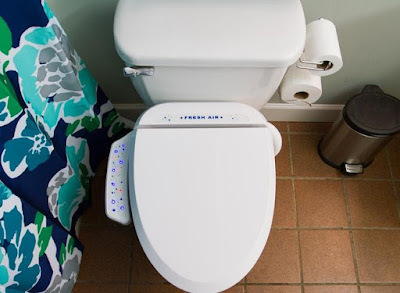 Kohler Purefresh Toilet Seat: The Kohler Purefresh is a toilet seat that features an integrated filtration system to neutralize bathroom odors while its built-in freshener releases a light scent. It also features a programmable 8-hour dual nightlight that provides guide and task lighting. Buy Now: $79.28. 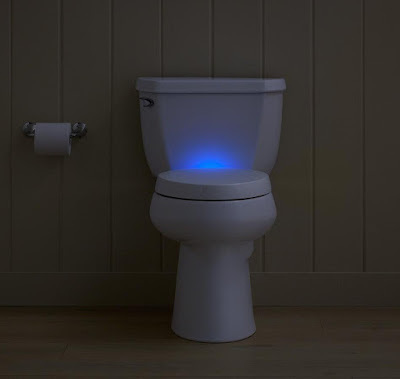 IllumiBowl: IllumiBowl is a clip-on toilet night-light that will ensure you are never left in dark again. Just stick it on the outside of your toilet, and you are done. It turns itself on when you walk in and off when you leave. Then may be your question is how does this make a bathroom neat? Well men will be men; it saves you from a nasty surprise when 'he' uses the toilet during the night in the dark and naturally keeps your bathroom neat. Buy Now: $ 12.99. 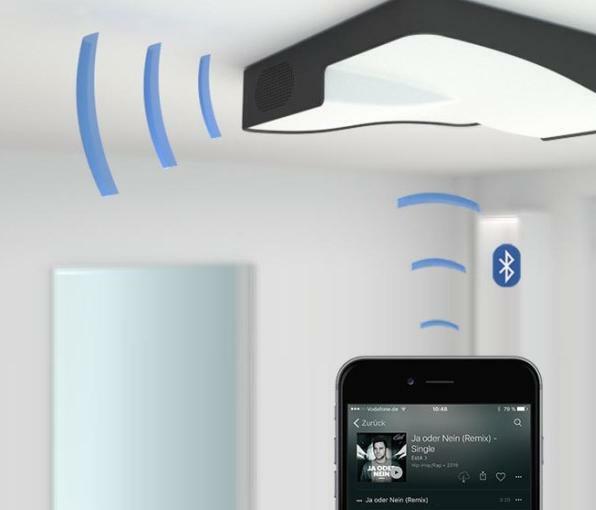 Badio Smart Bathroom Light: Badio is a smartlight for your bathroom that lets you listen to music or Internet radio. It connects via Bluetooth and streams content from your smartphone or smart device. Apart from this you can also listen to more than 35,000 radio stations worldwide. 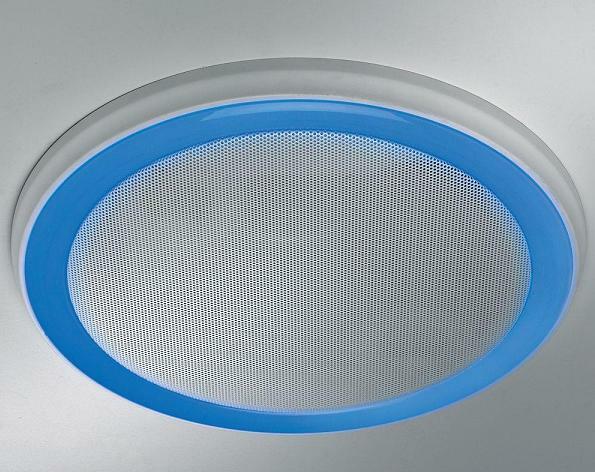 Using its app you can change the color of your light, dim, and more. It features two speaker drivers, Wi-Fi and Bluetooth connectivity. It's easy to install. More info. Turbo: It's said that modern toilet sitting posture isn't good for health and Turbo is been designed to solve that. 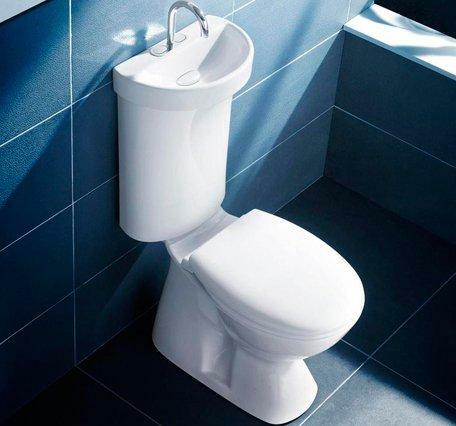 It makes using toilet the right way easy and seamless. It's for squatting, for better bathroom experience. Another key feature is feet massage that lets you enhance the health of different parts of the body by applying appropriate pressure points on the feet. Buy Now: $32.85. Caroma Profile Smart: The Caroma Profile Smart 305 features a washbasin built right on top of the water tank. The water used in the washbasin gets stored in the water tank that can be used later for flushing. It features Duo-Flo mechanism that provides substantial water saving. Buy Now: $520.90. 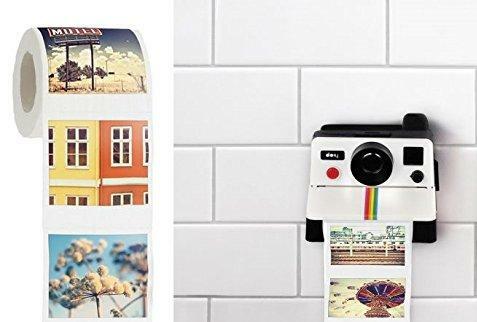 Pollaroll Toilet Paper Holder: Polaroll is a polaroid camera shaped toilet paperroll holder that gives out colorful photo style toilet paper. Buy Now: $19.99. 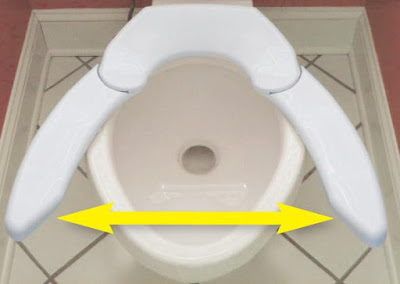 Handsfree Toilet Seat: The Handsfree Toilet Seat makes things a lot easy for you. It automatically raises and lowers the toilet seat. 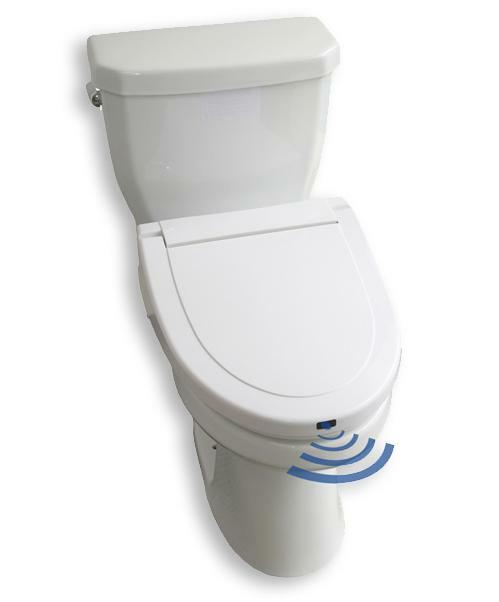 When you step in front of the sensorzone the lidcover rises automatically for sit-down use, and with a wave in midair above the sensorzone lifts toilet seat for men's use. It close automatically 30 seconds after you walk away. Its open/close mechanism is controlled by infrared and motionsensors. It works with all standard round and elongated-shape toilets and comes off for easy cleaning. Buy Now: $199.95. Decorative White 90 CFM: This 3-in-1 bathroom comes with a built-in speaker that you can control from your smartphone, bathfan and light. Buy Now: $159. 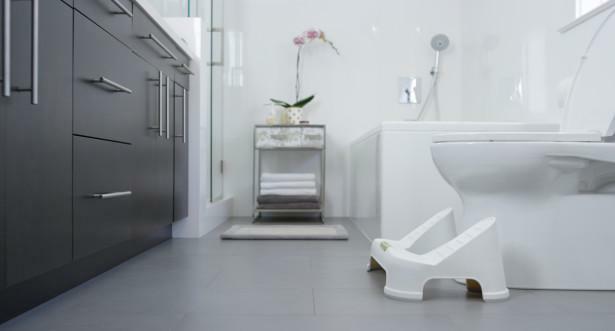 Adjustable Toilet Seat: The Adjustable Toilet Seat supports all shapes and sizes up to 1,000 lbs. and provides greater comfort, support and relaxation. Buy Now: $99.98. 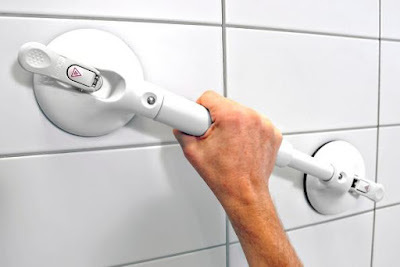 Mobeli Dual Grab Handles: The Mobeli Dual Grab Handles are easy to setup and can be of assistance if need arises. Buy Now: $267.29. Fresh Air Plus: The Fresh Air Plus is an odor-eliminating toilet seat that features a built-infan that removes odors through a hose as soon as you sit down. Buy Now. 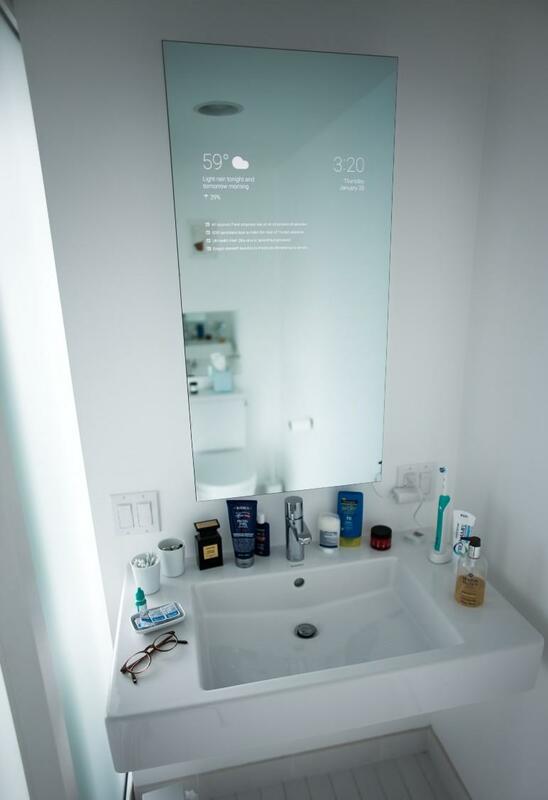 Smart Bathroom Mirror: When a smart guy gets creative what results in is really amazing. Give a two-way mirror, a display panel and controller board, bunch of components and more to Google engineer Max Braun and you get a smart bathroom mirror. It displays time, day, weather and news headlines. More info. Cubecoid: Cubecoid is a minimalist toothbrush and razor holder that can be placed on smooth, non-porous surfaces. This nanosuction toothbrush holder makes shaving and brushing easier while providing your brush and razor a hygienic storage space. Buy Now: $14.99.